Ecoventura’s signature fleet includes two identical expedition yachts custom-designed for Galapagos cruising: the M/Y Eric and M/Y Letty. 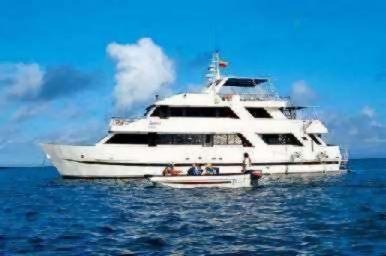 Built in 1994 and refurbished annually, these identical superior first-class sister yachts accommodate no more than 20 guests and feature three decks of ample staterooms with polished teak interiors trimmed with shiny brass fittings. 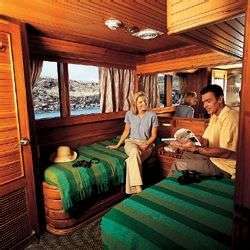 Accommodations include ten double outside-facing cabins with a window or porthole view, one double bed or two twin lower beds, fully air-conditioned with private bathroom (hot and cold water showers), bio-degradable soap/shampoo dispensers, hair dryer, closet, drawers, intercom and separate climate controls for your comfort. There’s a dining room, well-stocked bar and conference area with a flat screen TV, library and panoramic picture windows. 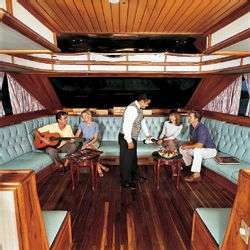 Or you can relax in a lounge chair on the sun deck, enjoying sea breezes and a sky full of stars. 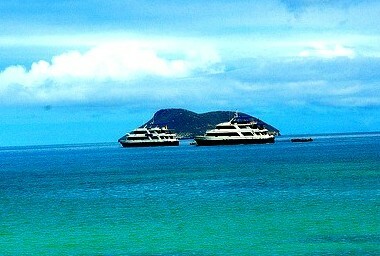 Thanks to the small group size, your expedition to the Galapagos Islands can be at a much more leisurely pace. 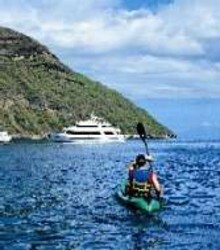 Snorkeling equipment, wetsuits and sea kayaks are provided at no additional charge. Navigation Highly sophisticated navigational and mechanical equipment meet the highest safety standards found in Galapagos including: 24-mile Furuno radar, Furuno Satellite Navigator, electric compass, magnetic compass, clock, barometer, depth finder-Raytheon speed and distance log. All crewmembers are experienced and trained by ISM and in the regulations that local, Navy and National Park authorities require.